The Important Bird and Biodiversity Areas (IBA) Program is a program that works to identify, monitor, and conserve the world’s most important sites for birds and biodiversity. Sites are designated using a science-based approach which sets criteria and thresholds for trigger species. 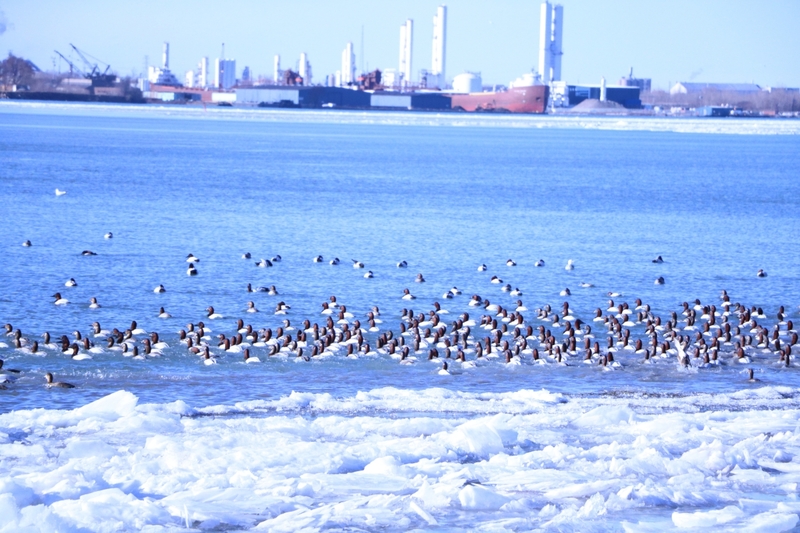 In Canada IBAs are triggered mainly by threatened species, and significant congregations of birds. The exemplary IBA Caretaker Network (started in 2006 in B.C.) took off in Ontario in 2013. Caretakers are volunteers who monitor bird populations, report on threats to IBAs, work with partners on stewardship activities, and help build community awareness about the importance of IBAs. 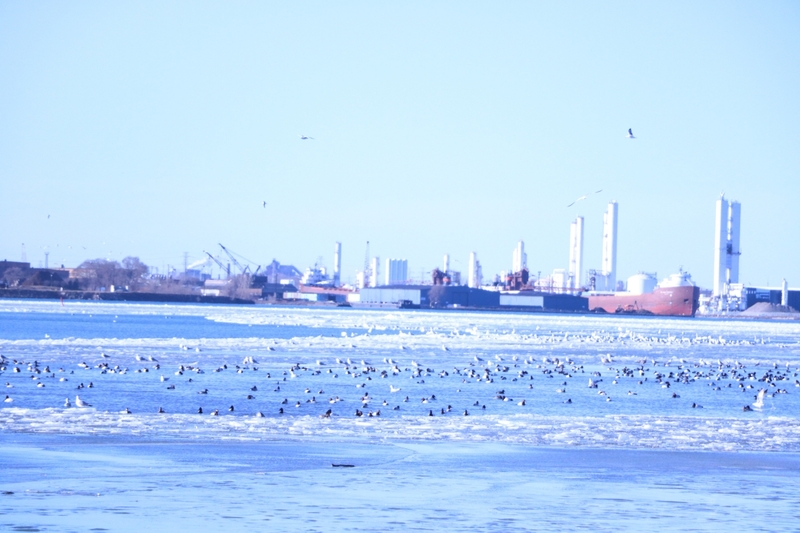 The globally significant Lower Detroit River IBA which extends from the north end of Fighting Island to the mouth at Lake Erie, is important for congregations of birds and waterfowl. Ring-billed Gulls were originally a trigger species (in 1990 there were 34,021 pairs, 3.9% of the North American population on Fighting Island). 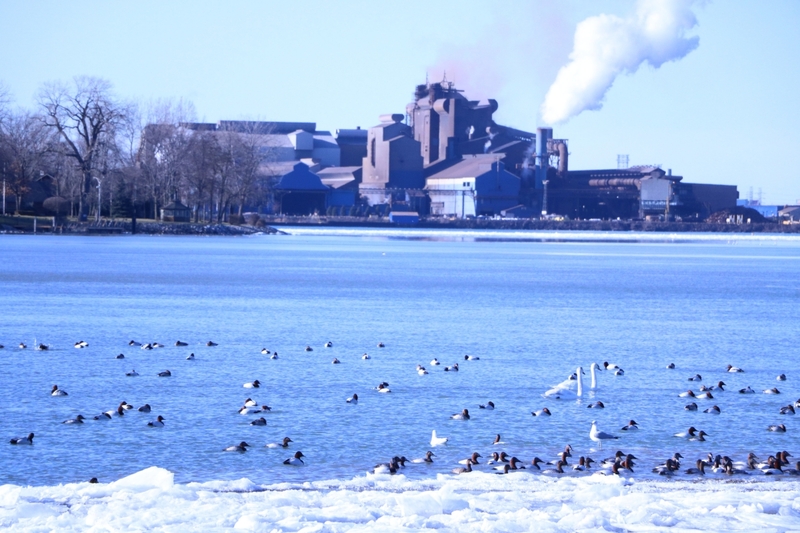 Recently the gull colony has changed, but Canvasbacks still occur in significant numbers (in 2015, birders counted 9000 along the IBA, 1.7% of its global population)! 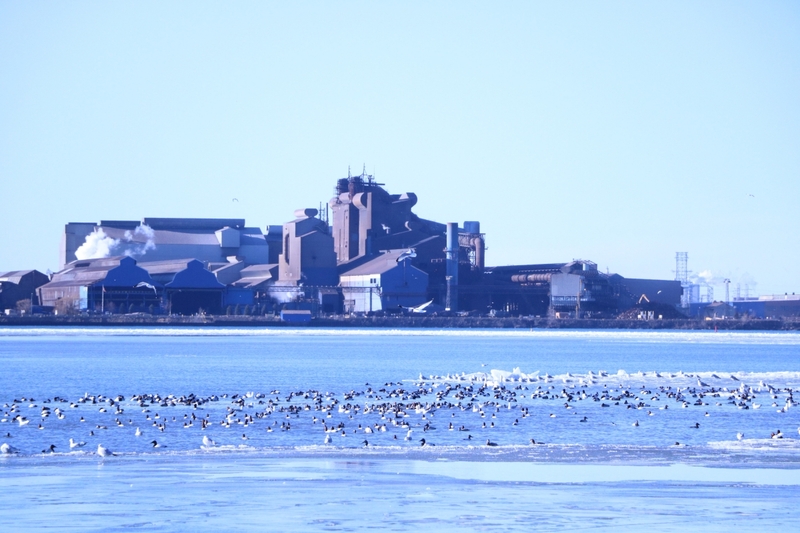 The IBA is also a winter home to many Redheads and Common Mergansers. 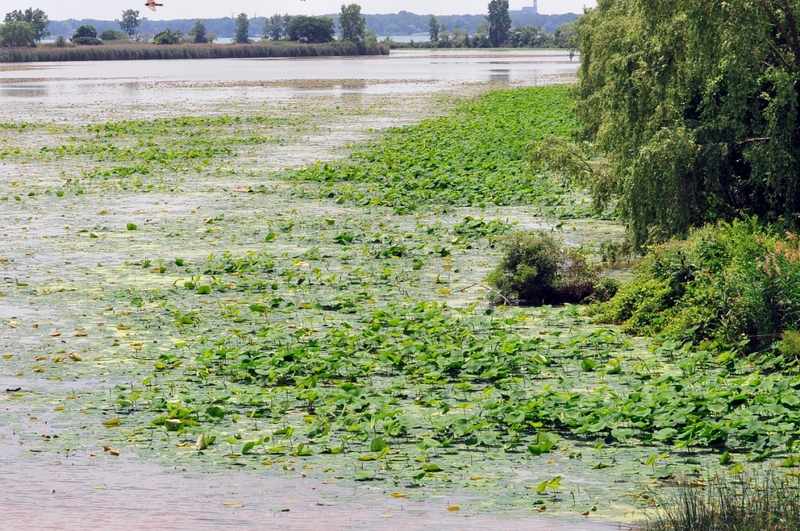 Pollution of the river and surrounding wetland areas is the main conservation concern due to the high population along the river (Windsor, Detroit, LaSalle, Amherstberg). 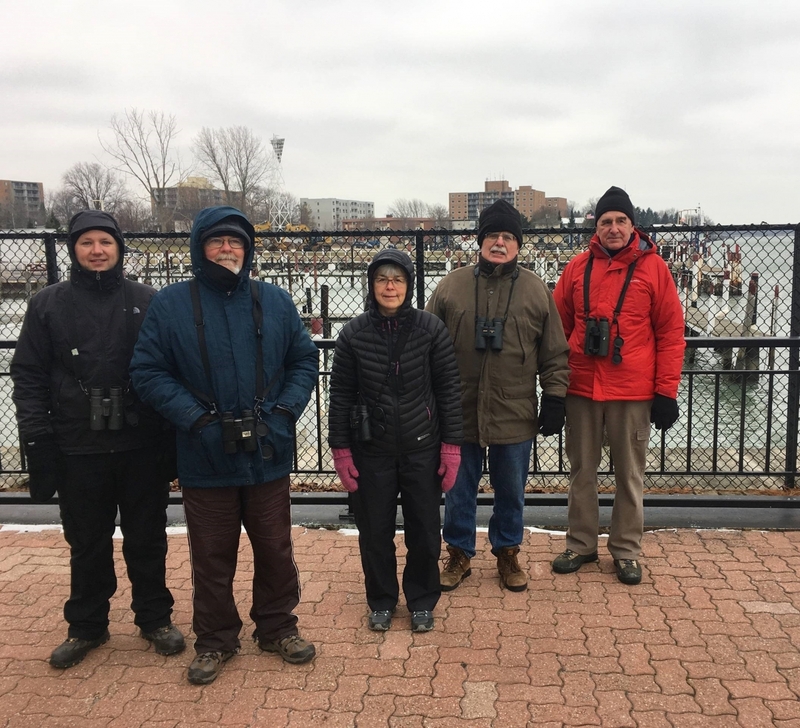 Fortunately, organizations such as the Detroit River Canadian Cleanup and the Essex County Field Naturalists’ Club are taking action to protect the area. On January 28th 2017, BSC and volunteers counted a total of 23 species and 4,391 individual birds (4,098 of them waterfowl). 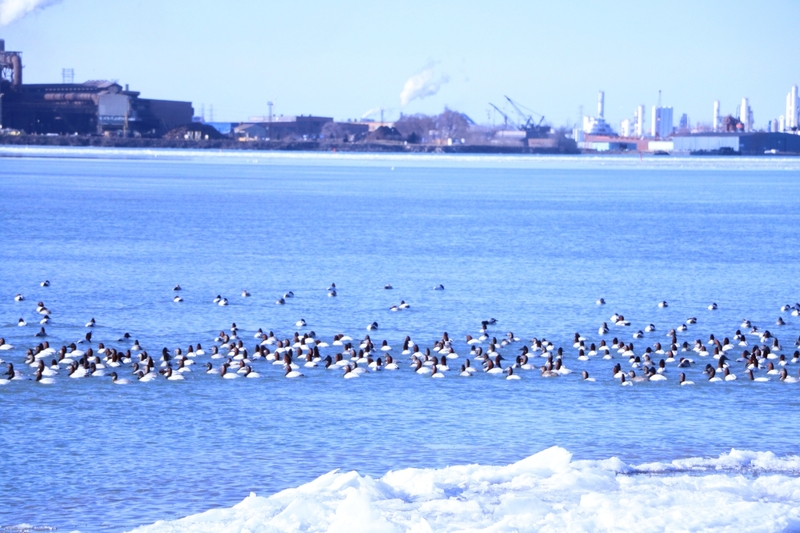 Numbers for trigger species of the IBA were 1,565 Canvasbacks, and 1,790 Redheads! Stay tuned for the February 25th 2017 results! The Round-leaved Greenbrier is a plant species listed as ‘Threatened’ under the Species at Risk Act. 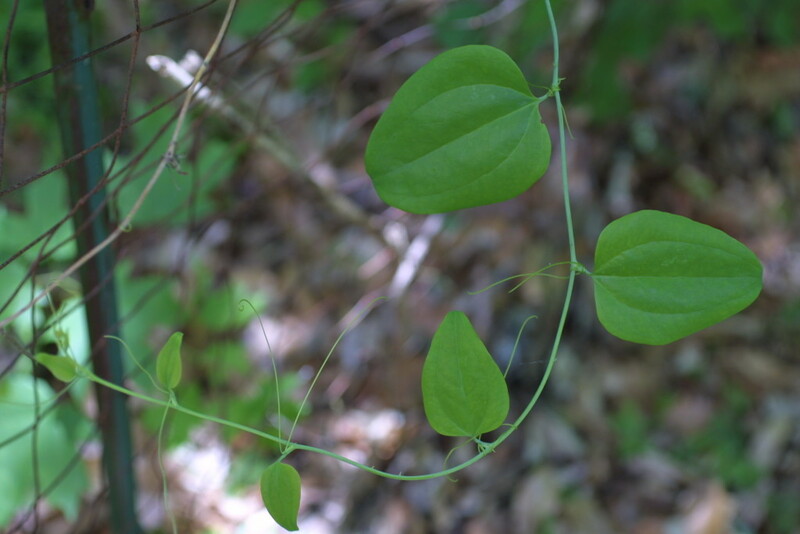 This wood-climbing vine has oval- to heart-shaped leaves and woody stems that are armed with prickles. 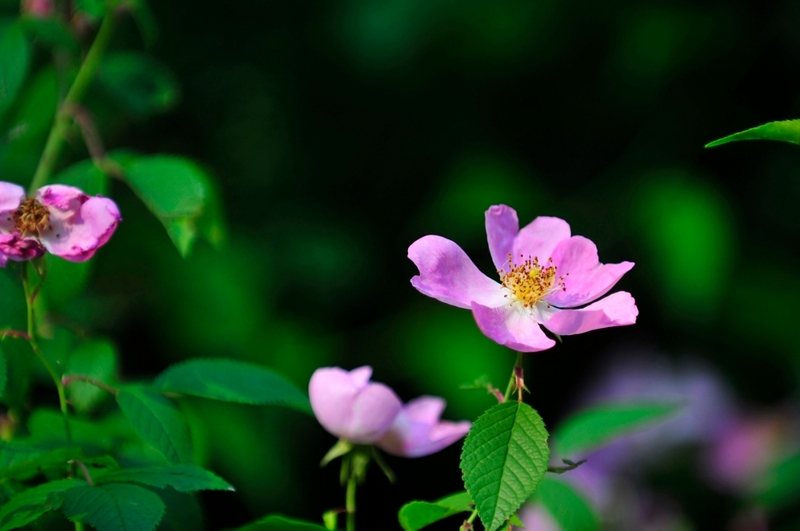 In Ontario, this species can be found in Essex County, Norfolk County and the Niagara Region in moist deciduous forests typically dominated by Red Maple, Red Oak or Pin Oak trees. 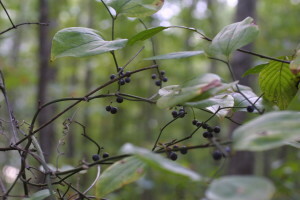 High intensity logging, alterations to the moisture regime, and habitat loss and fragmentation are identified as major threats to the Round-leaved Greenbrier’s survival. During the 60-day consultation period now underway, Environment and Climate Change Canada (ECCC) is seeking any information you may have about the species and its needs, as well as threats to the species or its habitat. ECCC is also seeking your views on the conservation and protection measures proposed in the recovery strategy. 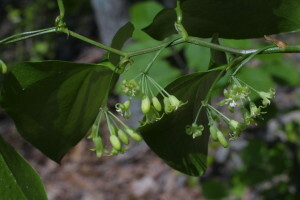 This threatened wood-climbing vine may exist in your area and you can help protect it.! You are invited view the document and provide your comments online at www.sararegistry.gc.ca (click on Get Involved – Public Consultations). The Canadian Wildlife Federation has published several videos in six Indigenous languages as a part of the Hinterland Who’s Who series. These videos celebrate and honour Canada’s 150th anniversary and provide education to the public on Canadian wildlife. The Canadian Wildlife Federation started making videos in English and French in the 1960s but this is the first time they have been released in Indigenous languages. All of videos found on their site here, highlight the wolverine and freshwater turtle are available in Woods Cree, Denesulinem Inuktituk, Mohawk, Oji-Cree and Ojibew. These two species are important to Indigenous culture and are found in many First Nation, Inuit and Metis legends. Source: CBC News (2017) Hinterland Who’s Who videos now available in Indigenous languages. Each year, World Wetlands Day is recognized on February 2nd, which marks the anniversary of the adoption of the Convention on Wetlands of International Importance in Ramsar, Iran on February 2nd 1971. This internationally celebrated day began in 1997 with the goal to raise awareness of the importance of wetlands, the value and benefit they play in communities, and promote conservation of these areas. The landscape since then has significantly changed. 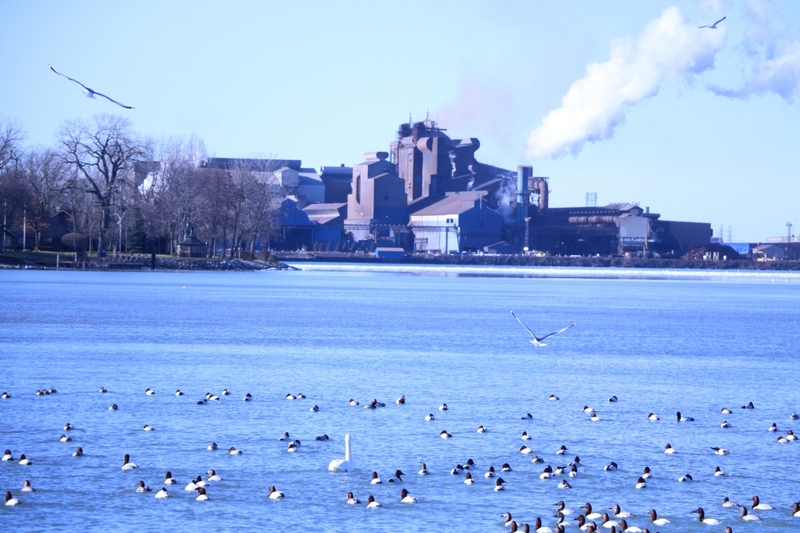 Agriculture, intense urbanization, and industrialization led to a loss of 97% of the original wetlands and, consequently, the Detroit River suffered habitat and biodiversity loss. 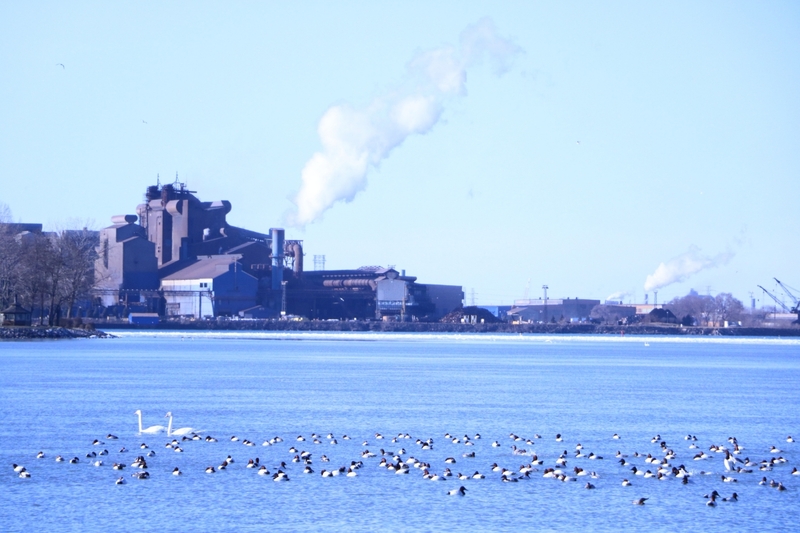 For this reason, among others, the river was designated as one of the original 43 Great Lakes Areas of Concern (AOC) in the Great Lakes Water Quality Agreement (GLWQA) in 1987. As part of the road to recovery, the DRCC implements the Remedial Action Plan (RAP) for the Canadian side of the Detroit River Area of Concern. Wetlands play a significant role in the Detroit River watershed by providing habitat and a place to rest, feed and breed for many of the diverse species in our area. They also help minimize erosion along the banks and shorelines of the river. 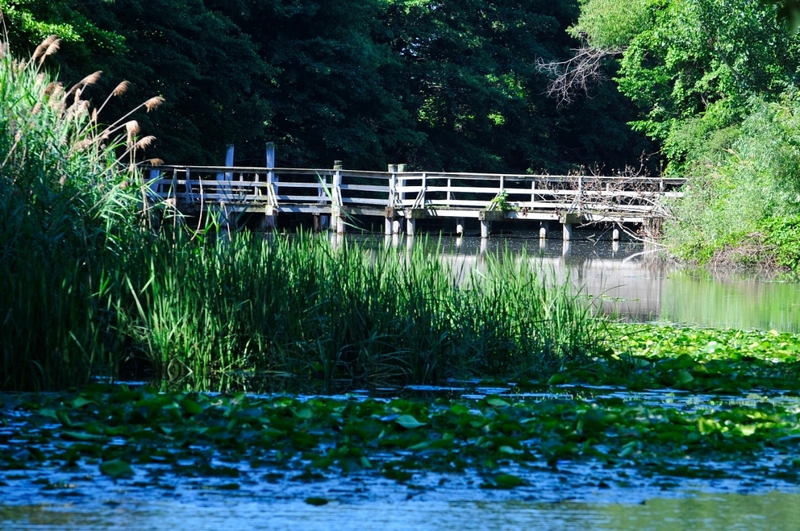 Wetlands act as water filters by removing nutrients and sediments from runoff, help stabilize the water table and the local climate as well as offer recreational opportunities like hunting, fishing, bird-watching and exploring. 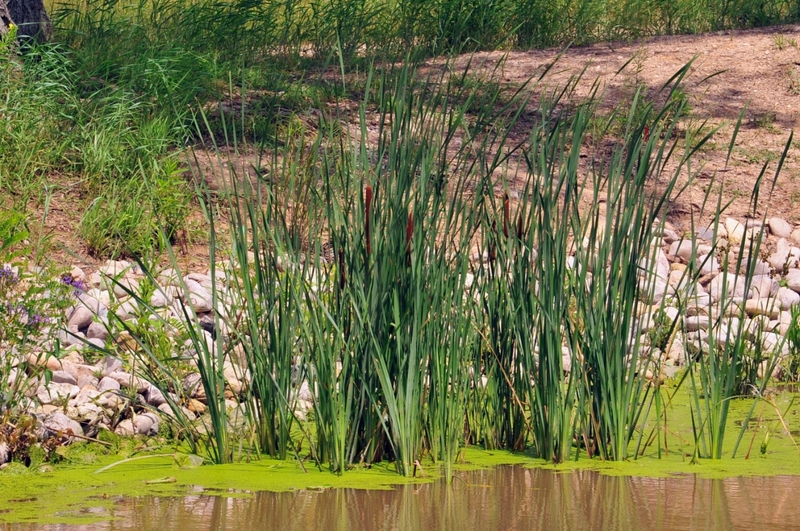 The importance of wetlands are recognized within the RAP Stage 2 plan and the Pathway to Delisting guidance documents. 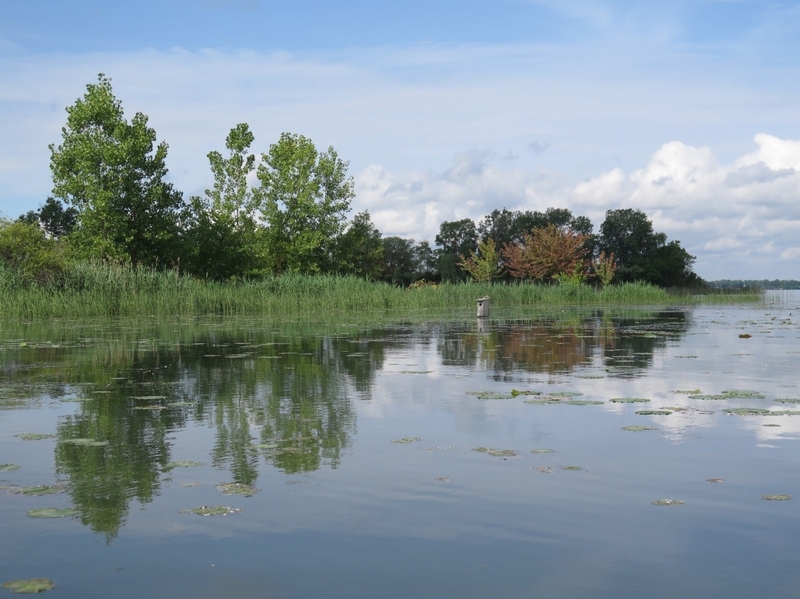 There are a variety of programs initiated by DRCC partners that aim to study and evaluate the quality of the existing wetlands, increase the amount of wetlands, and educate the public about the importance and value of wetlands in the Detroit River Area of Concern. 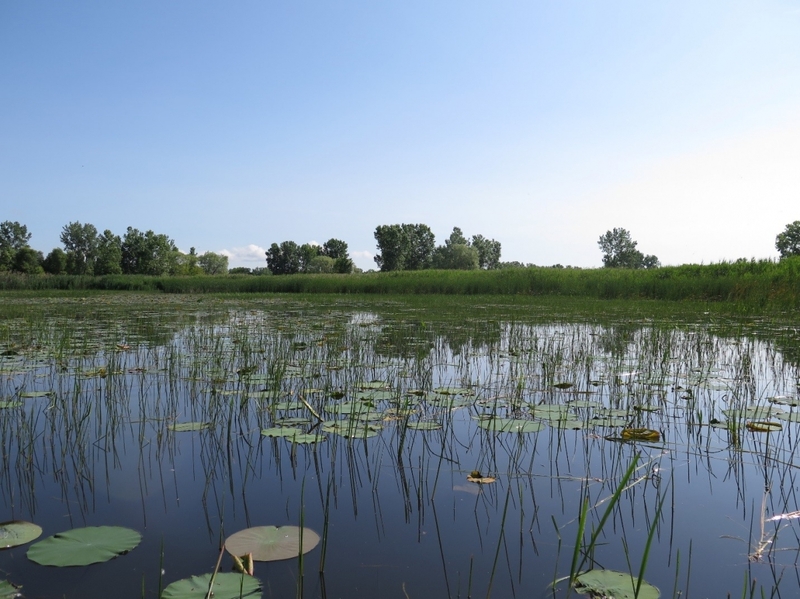 The collaboration between many organizations help to protect existing coastal wetland habitat and restore the function in priority areas such as the marshes in Canard River, Turkey Creek, along the channel and on Fighting and Peche Islands. What state are the Detroit River wetlands in? Environment Canada released the Detroit River and St. Clair River Area of Concerns (AOCs): Coastal Wetland Habitat Assessment Report 2013 Update which showed wetland conditions in the Detroit River ranged from ‘very degraded’ to ‘good’ for the water quality, aquatic vegetation, sediment dwelling organisms and bird communities. Work done by the Canadian Wildlife Service has shown no net loss to date with wetland area, but the wetlands are fragmented or disconnected and patchy. What are some species that use the Detroit River wetlands? Some of the more common species you might come across in a Detroit River wetland include: White Water Lily, Cattail, Reed Canary Grass, Canada Waterweed, American Bittern, Mallard, Tree Swallow, Great Blue Heron, Northern Leopard Frog, American Bullfrog, Marsh Marigold, many different types dragonflies, damselflies, and butterflies, Green Frog, Muskrat and more! What are some of the effects of wetland degradation? 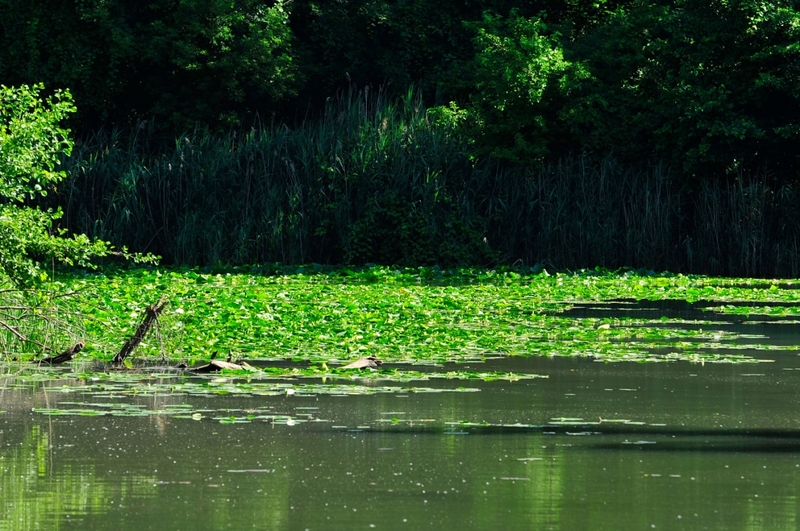 Wetlands help filter water, and when they are not able to function properly, this can lead to local water pollution from non-point sources such as agriculture in the Detroit River. This then can lead to nutrient enrichment or eutrophication (mainly phosphates and nitrates) which can cause algae blooms in Lake Erie. Pollution in the water and sediments affect organisms that feed off the bottom of wetlands or foraging insects known as benthic invertebrates. 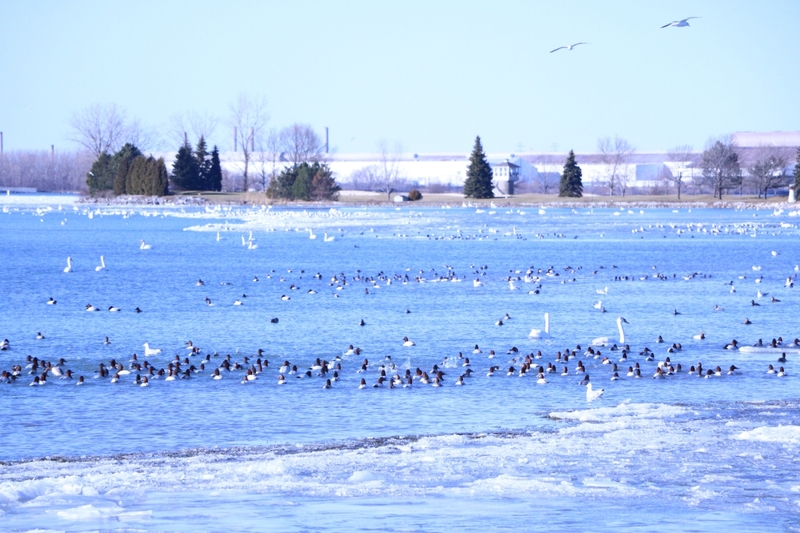 Fragmented and/or degraded wetland habitat can impact aquatic bird communities and fish species. Smaller habitat area can degrade populations of these species if sites become unsuitable or too small to breed, feed, mate and raise their young. 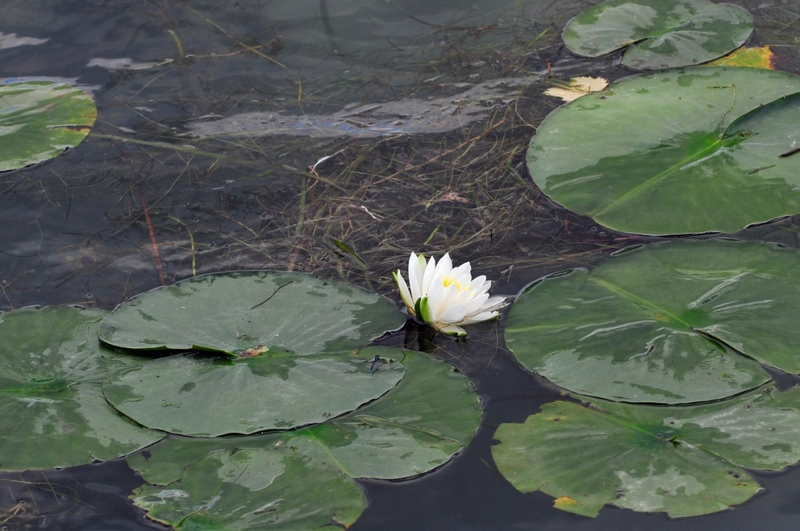 Invasive species affect wetlands especially when fragmentation or area loss occurs. 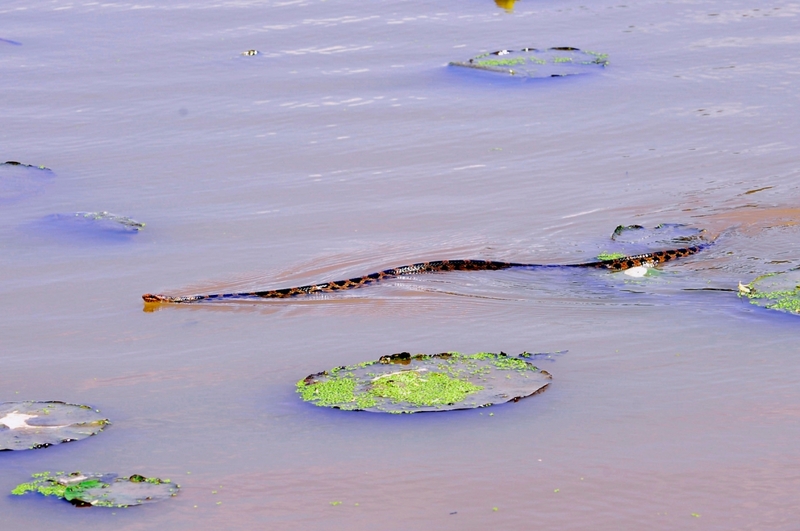 Invasive species can alter wetland habitat structure, reduce biodiversity and can shift the water table in the local area. 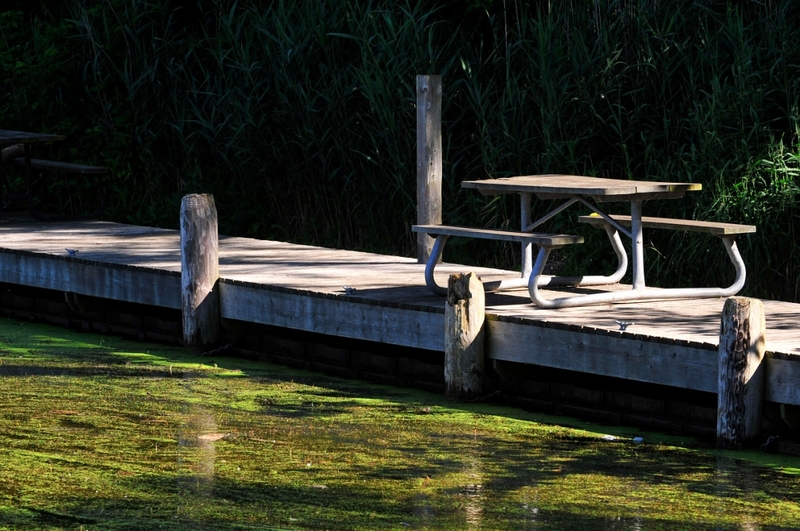 Who is responsible for monitoring the Detroit River wetlands? The collaboration between many organizations help to protect existing coastal wetland habitat and restore the function in priority areas. 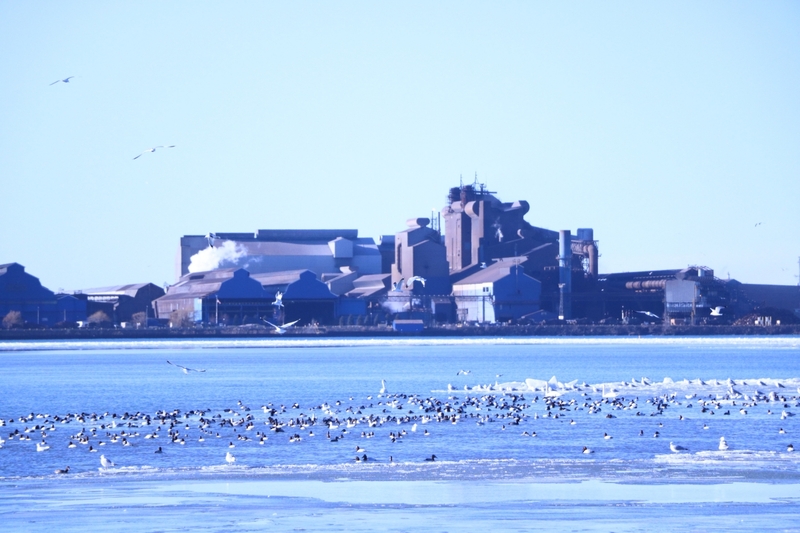 For example, the Great Lakes Marsh Monitoring Program has monitored wetland bird and amphibian populations binationally since 1995 with the help of Bird Studies Canada, Essex Region Conservation Authority, the United States Environmental Protection Agency and dedicated volunteers. 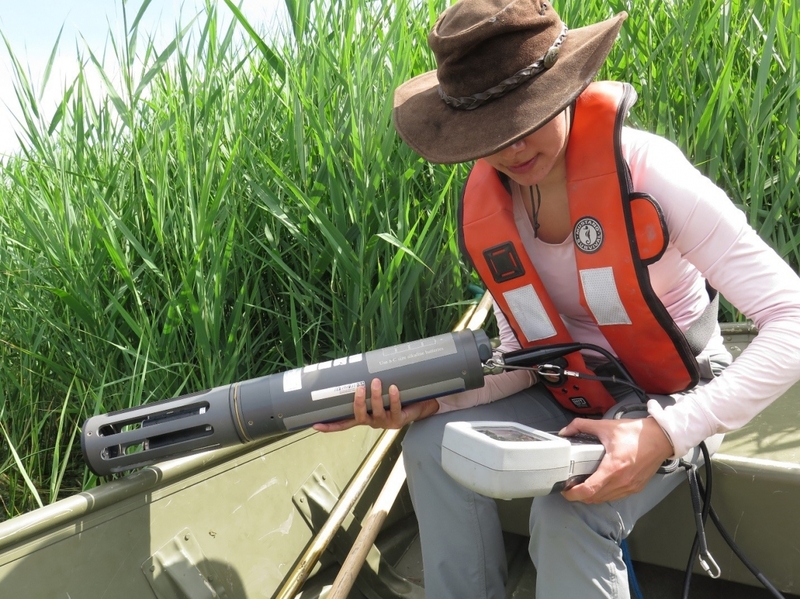 In addition, through the Canadian Wildlife Services branch of Environment and Climate Change Canada, the Great Lakes Coastal Wetland Monitoring program is administered to monitor wetland wildlife communities (marsh birds, aquatic macroinvertebrates and submerged aquatic vegetation), habitat and water quality. What is taking place to protect, restore and enhance the amount of wetlands in the Detroit River? The RAP Stage 2 and Pathway to Delisting guiding documents recognize the importance of wetlands. 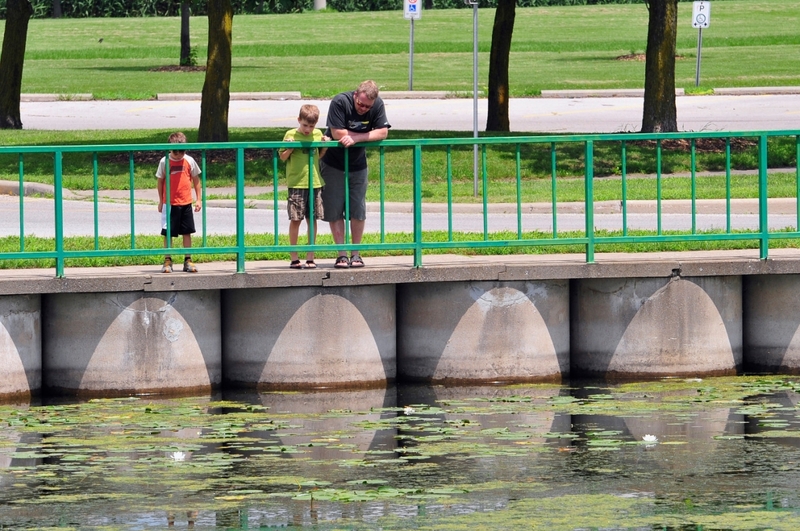 There are varieties of programs initiated by the DRCC that aim to understand, increase the amount of wetlands and educate the public about the importance of wetlands in the Detroit River Area of Concern. The collaboration between many organizations help to protect existing coastal wetland habitat and restore the function in priority areas. Great Lakes Marsh Monitoring Program the Great Lakes Coastal Wetland Monitoring program monitors wetland wildlife communities (marsh birds, aquatic macroinvertebrates and submerged aquatic vegetation), habitat and water quality. The Habitat Work Group of the Detroit River Canadian Cleanup is creating a decision matrix for prioritizing potential sites for restoration within the river system. This program will help evaluate and rank the potential actions that could take place to help guide restoration. This decision matrix will be useful in future to identify new sites, actions and best practices as the RAP moves forward with delisting impaired fish habitat that benefits both fisheries and aquatic diversity. Community organizations such as the Detroit River Canadian Cleanup, Essex Region Conservation Authority, the Essex County Field Naturalists Club, Little River Enhancement Group, Friends of Canard River, Friends of Turkey Creek Watershed have hosted cleanups and plantings in the Detroit River and three sub-watersheds to improve habitat quantity and quality. 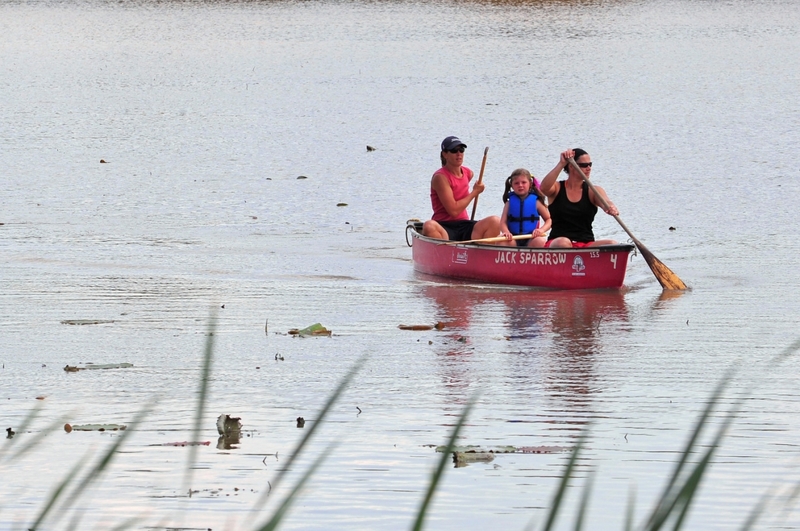 What can individuals do to help protect the Detroit River wetlands? Always dispose solid and liquid hazardous and non-hazardous waste properly. 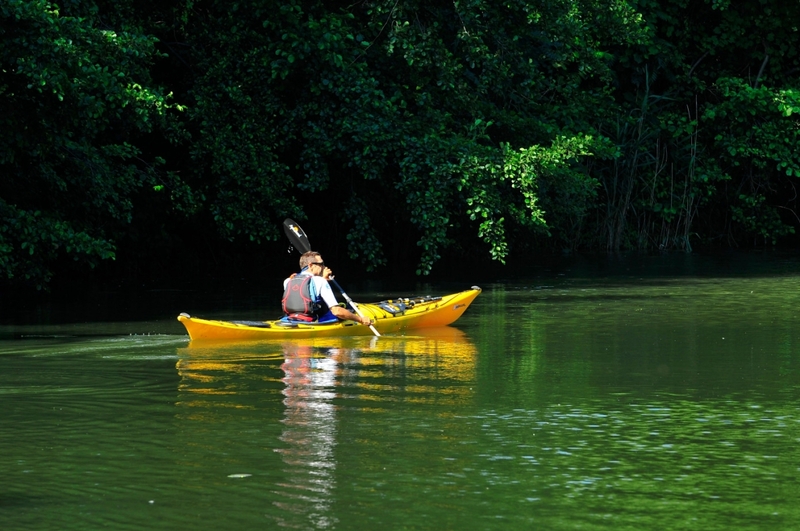 It is important to be environmentally responsible and take care of the Detroit River system! Visit Windsor Essex Solid Waste Authority’s website http://www.ewswa.org/ for information regarding waste disposal in Essex region. This includes not pouring anything down the storm drain. Watch the DRCC videos Wastewater: Where does it go? and 1, 2, and TP, that’s it! Visit our site: detroitriver.ca/media. Keep the storm sewers clean and void of litter and debris during heavy rain events. Rainwater is the only liquid that should go down the storm sewers! Disconnecting downspouts frees up capacity in the sewers during a storm event as they allow water to flow across the lawn. Also installing a rain barrel will collect this water during a storm and can be used in your garden on dry days. 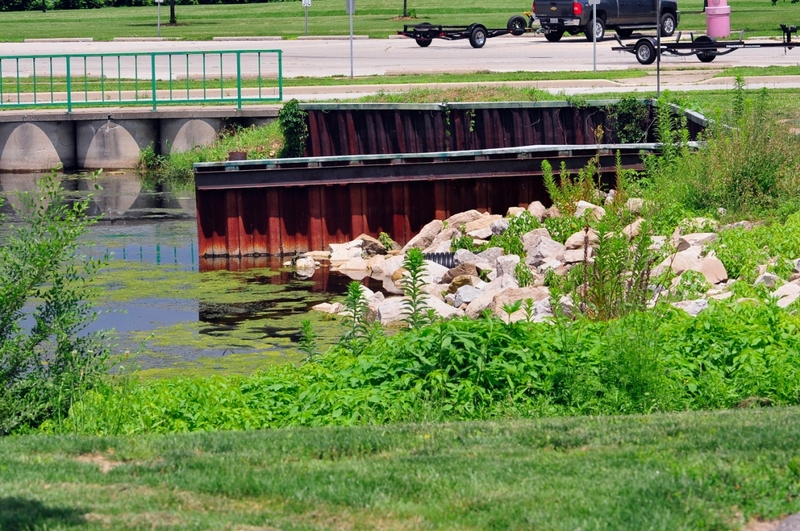 Both these actions help reduce the volume of sewage and or runoff that can end up in the Detroit River untreated.